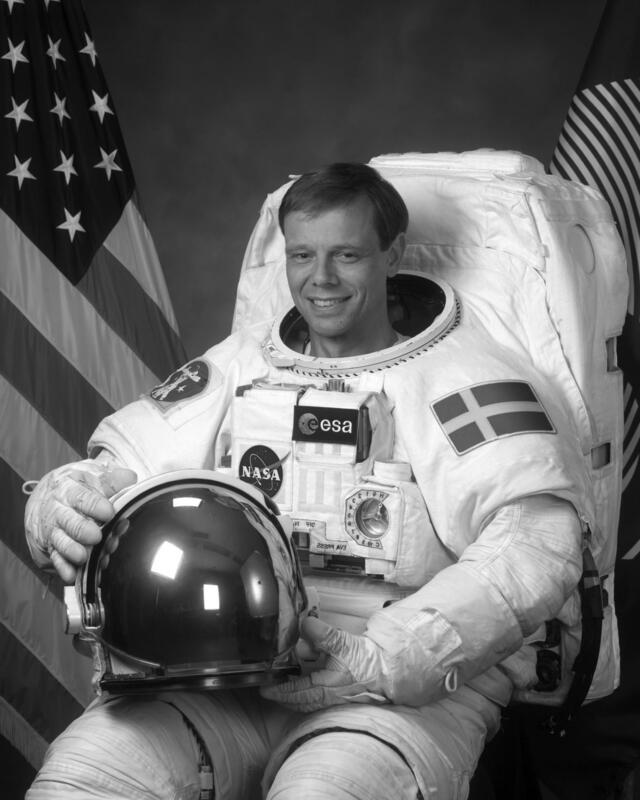 Christer Fuglesang is a Swedish first and only astronaut. His career is truly inspirational – he has worked in European Space Agency’s (ESA) between 1992 and 2017 and made two shuttle missions to International Space Station (ISS) in 2006 and 2009, during which he performed not one but five spacewalks. Currently, he’s a professor at KTH Royal Institute of Technology and Director of KTH Space Centre, teaching young talent and dreaming that world could have many more Swedish astronauts in the future. I didn’t dream about becoming an astronaut. I was studying what I was interested in and that happened to be one of the areas what was perfect for that. Besides his career as an astronaut and the idealization of this profession, we talked with Christer how to be successful with limited resources and why teamwork is extremely important. And as he is the speaker of sTARTUp Day he gave a little sneak peek what he’s going to talk about. The profession of an astronaut is often idealized, children dream about it – why is it so? I think it's because of a fascination with space and some ultimate travel you can do. The dream about the idea of seeing the stars in the night and fantasizing what's up there. It's also historically so that there has been high attention and interest in the first space flights. Still today there are very few people that get the opportunity to go to space. All these factors together make it a very interesting and fascinating goal that many people dream about. Dreams often remain dreams. How did you manage to follow yours? I’ve definitely had a lot of luck. There are a few opportunities in particular if you're not in the US to get into space. So you have to be at the right place at the right time with the right person. It happened to be a time in my career when there was an opportunity to apply to be an astronaut in Europe. I didn’t dream about becoming an astronaut. I was studying what I was interested in and that happened to be one of the areas what was perfect for that. Basically, anyone who's in technology, natural sciences or medicine can become an astronaut. But of course, the timing should fit and you have to have the right background and be medically fit. A lot of people have some kind of a minor medical issue which disqualifies them for becoming an astronaut. People do mistakes now and then, that's unavoidable. But you should try to create an environment where mistakes can get caught and those wouldn't lead to catastrophe. Speaking in terms of Space and Startup parallel – how to manage with very limited resources? You always want to do more than you have resources, you always think that “yeah, I could do so much better if I had any more resources”. So you have to do the best with what you have and at the same time always try to find ways to increase your resources. Also, you could try to network and find the right people whom you can convince that your ideas are good. How would you describe the importance of teamwork in very limited physical space and almost no privacy? Teamwork is extremely important. We talk about this a lot in astronaut training, it's also called Crew Resource Management. People do mistakes now and then, that's unavoidable. But you should try to create an environment where mistakes can get caught and those wouldn't lead to catastrophe. You have to be able to trust your crewmates. Another important aspect is that you always have to admit your own mistakes. But for that, you have to have a work environment where you can make mistakes without getting blamed. What do you think – what’s the most realistic space book and/or movie ever made? The most realistic is probably Apollo 13 which is more or less a documentary. It's very realistic. The Martian. I think it's a very good movie and not too much unrealistic stuff. It's about a guy who gets kind of stranded on his first mission to Mars. At some point, he has to evacuate and leave Mars with a rocket but then some kind of minor accident happens and he gets lost. Everybody thinks he's dead and cannot find him. It shows that during the mission you have to survive very different things and find a way to rescue yourself. It’s funny and it's also fairly realistic. I'm dreaming of going to the Moon. Please give us a little sneak peek what are you going to talk about at sTARTUp Day? I'm going to talk about my experience of becoming an astronaut and the training. Then, of course, I'll talk more about my space flights, what is the space station and how was to live in space. I'm dreaming of going to the Moon but I guess that won't happen (laughs). I don't have this kind of ultimate dreams right now. But I hope to see some more Swedish astronauts in the future.